When you get stressed do you feel like you’re a completely different person? You just might be. Based on the work of Carl Jung, research indicates that people use several different styles to communicate and frequently shift to a different style when under stress. Although this may be confusing to you when it happens, it generally is even more confusing to the people around you. You seem to be someone else. 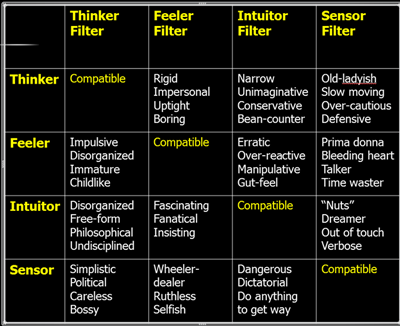 The research indicates that there are four primary communications styles: thinker, feeler, intuitor and senser. Thinkers are interested in information. They are analytical and objective and rely on data and logic to make decisions. They want to understand the components of a system. Feelers place a high premium on human interaction. They excel at reading non-verbals and drawing out the feelings of others. They are generally empathetic and persuasive. Intuitors are extremely comfortable with theory and concepts. They are innovative, creative and original in their thinking. They are enamored of things that are unique and state-of-the-art. Sensors are action and results oriented. They are frequently impatient and hurried. They have an eye on the bottom line and are seeking perfection at all times. Each style has benefits and drawbacks so it’s not better to use one more than another. 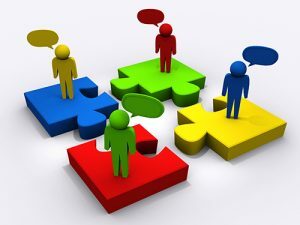 However several styles are not overly compatible with others making communication between some individuals difficult. To communicate most effectively with others, it is best to flex your style to mirror the style of the other person. The chart above gives you an idea of how a person in one style may view a person in another style.